We’ve been in Boston now for a little over 3 months. I don’t count December since we were here for like 10 days living out of our very gracious friend’s apartment before traveling home and visiting family in the midwest for three weeks. That was a crazy month. In some ways it feels like we moved here yesterday because this year is flying, but in other ways I feel like we’ve been here forever. Most of my really good friends don’t live in New York anymore so I don’t actually miss the city itself. 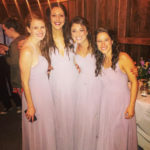 But there are many days when I miss those middle two years in New York when life was hard, but really really good because of the people I was surrounded with. It was like we were all in it together,trying to make our way through the up and down years of our twenties, while navigating the beast that is Manhattan. Those people were and still are family. So sometimes when I think of New York I remember those years and how sweet they were and how I wish I could experience them again because I didn’t realize how good they were in the moment. I’m glad I feel nostalgic. That season in New York was a huge part of my life that shaped a lot of who I am. But I don’t ever want to move back lol. I’ll visit, but I’m not interested in ever moving back. I feel like when people leave New York, they don’t go back. For me, I was super naive when I moved into my Harlem apartment from Charlottesville back in the spring of 2014 and I had not a clue what I was getting myself into. In my mind, this was an exciting adventure and it was going to be THE BEST. I couldn’t move back now knowing what living in New York actually looks like. Nope. But I will go back and visit and enjoy weekends there and then go back to Boston where the pace is slower, I can walk almost anywhere and drive my car places and people on sidewalks don’t resemble bumper cars. Both Nick and I feel really at peace in Boston…at least for this season of our lives. I have no idea what the future holds. But right now, this is where we are meant to be. I didn’t really how tightly wound I was in New York until I moved out. And now I’m like HOLY MOLY I was an emotional train wreck. A lot of people are not emotional train wrecks in New York, but I was because I am one of those people who doesn’t quite fit with New York. Moving to a new city feels refreshing in a lot of ways. But moving out of New York made me quickly realize, “Oh yea Robyn, not everything is open until 4am. 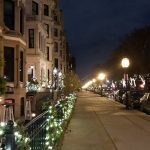 And yea you can’t order any food on Seamless at all hours of the night and there isn’t a drugstore on every block and yea, PEOPLE GO TO SLEEP.” What I love most about Boston is that it feels more familial and like a neighborhood and community. New York was so vast and populated that I never felt known in my neighborhood and didn’t bump into the same people. At least that wasn’t my experience. But I love seeing the same people over and over again and being able to have my regular spots here in Boston. We’ve only been here for a few months so I have SO much more to explore, but over the past few months I have some spots that have become my favorites here in the city. 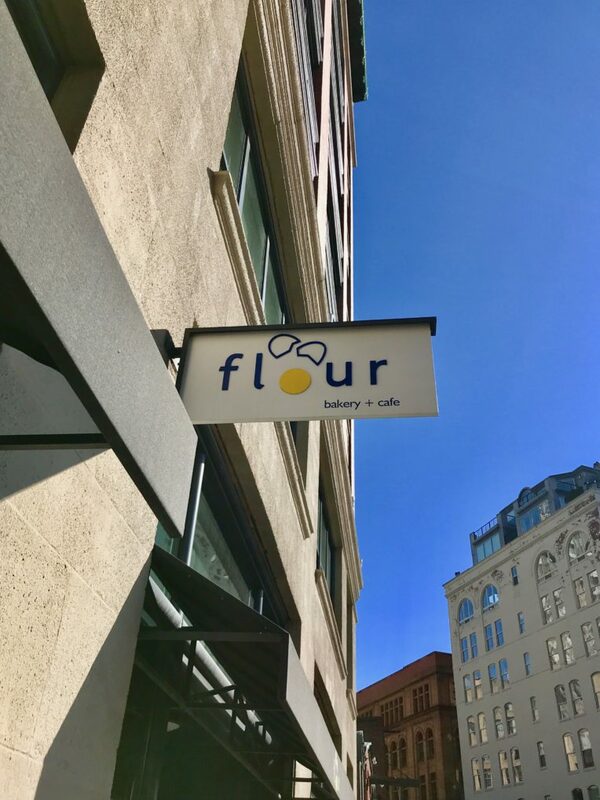 I think if you live in Boston, you know about Flour. 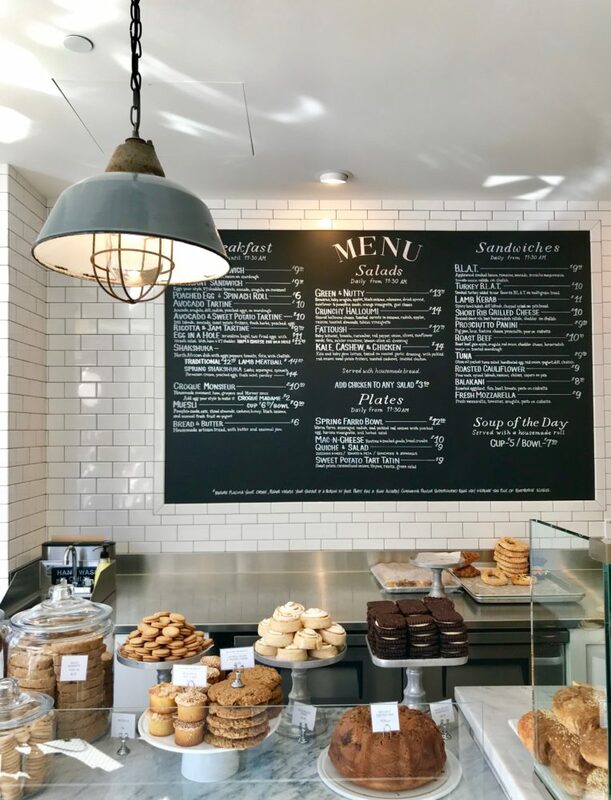 I first stepped foot in this dreamy bakery at FNCE a couple years ago. 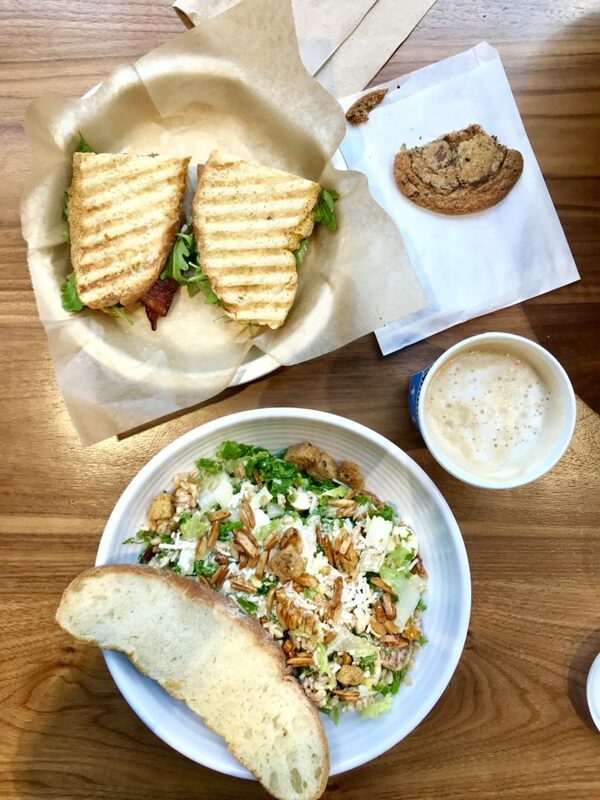 I don’t do work here since it’s noisy and crowded but it’s my favorite lunch spot – their sandwiches are bomb and so are their salads – and my favorite thing is to meet a friend for coffee + a baked good or pick up a few things from the bakery to eat throughout the week. Last week I picked up a morning glory muffin and a cinnamon pecan roll and ate them for breakfast and also a piece of carrot cake for dessert. Their sticky buns ARE TO DIE FOR. Ate one of those when we moved here. Favorite salad is the farro + greens and their lattes are on point. Oh how I love this place. I loved studying in the New York Public Library, but it was in Midtown and a nightmare to get to so I didn’t go as much. Now we live a non chaotic, 10 minute walk away from the Boston Public Library and it’s my favorite place to get writing done and develop new material. I did a lot of the work that went into creating my first e-course in this library, the majority of blog posts I write happen in this library and almost all the research articles I read…are read in this library. I was working in the gorgeous Bates Room but the dim lights started making me sleepy. Now I work in the main portion where you check out books and it’s more like a normal library (except it’s gigantic) and there are always lots of students and other people working which lends productive vibes. I head to the top floor since it’s the quietest. I’ve realized that I don’t work well in coffee shops since they are too loud and there is too much commotion going on for me. This is my favorite place to walk, run or jog. It’s a park/path that goes for miles all along the Charles River. During the winter it can get really windy and chilly near the water so I stay on the path farther back. I can’t WAIT for spring and summer when it’s warmer and I can ride my bike along the path and go on summer evening jogs and strolls. There is also docks you can sit on and tons of grass and benches…I’m dreaming of a evening picnic or bringing a bottle of wine out there to watch the sunset. Ugh. I’m obsessed. Along with a lot of others in Boston. I 100% prefer Flour’s baked goods but Tatte reigns supreme in the breakfast + lunch department. I love love love their halloumi salad because who doesn’t like salty, crispy hunks of cheese and their avocado tartine is also fab. Think crusty, buttery sourdough toast with a thick slather or avocado, poached eggs topped with arugula, shaved parm and a squeeze of lemon juice. BUT their shakshuka is hands down my favorite. It’s like wintertime brunch coziness. 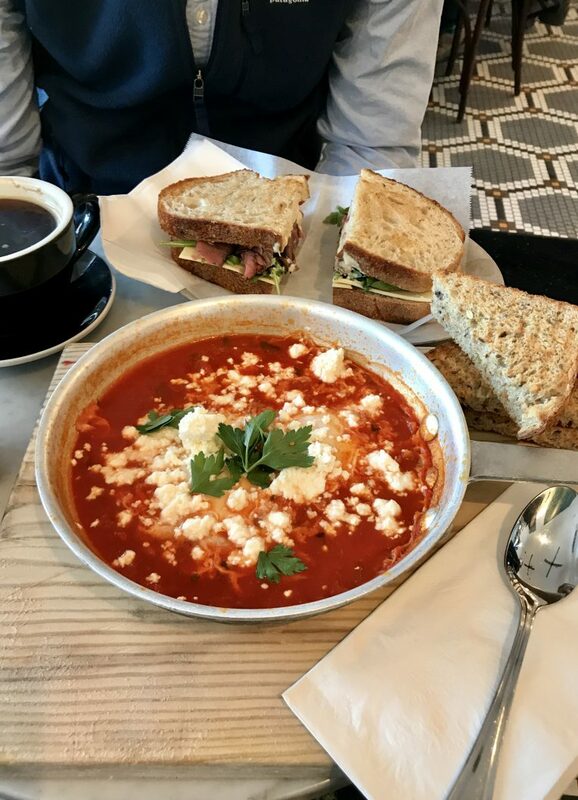 A warm and creamy pan full of tomatoes, peppers onions and feta with two eggs and thick bread for dipping. 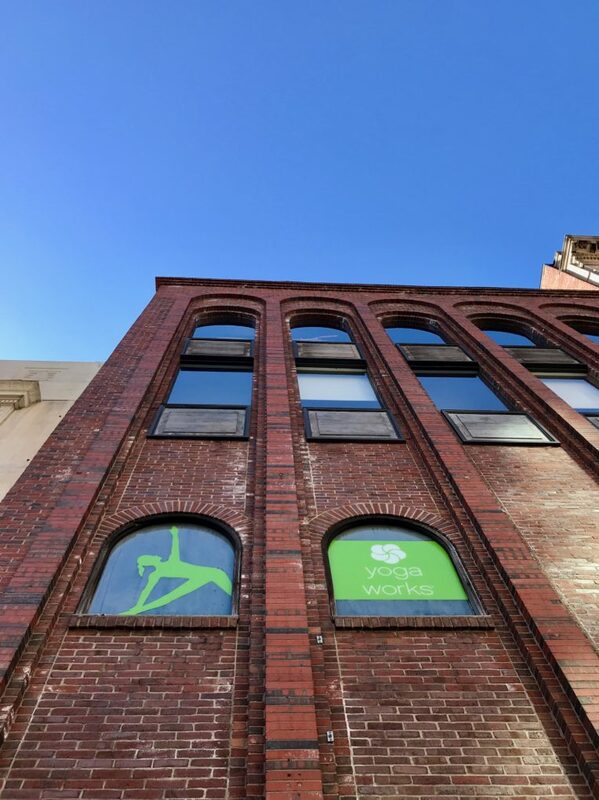 I’ve tried a few yoga studios here in Boston, the Barre3 studio and a few gyms and I’ve finally landed on the YogaWorks in Back Bay for a few reasons. First, I’m not willing to pay the premium price tag for a gym with really amazing classes and all the other gyms either don’t have classes or the the membership price is still pricey and the classes are mehhh. I don’t really care for machines because I can walk or run outside and during the summer we can bike and hike too. I really love Barre3 but I couldn’t imagine myself doing that in the frequency that would make a monthly membership worth it. I think the classes are intense for being an hour and while I enjoy them 1-2x a week I don’t want to do them multiple times a week and individual classes are expensive. For Barre3 I’ve found 30 minute online classes to be my happy place. With yoga, I like CorePower Yoga but it was wayyyyyy too $$ for a monthly membership for me and I found each class to always have the same sequencing. It felt more like an athletic yoga studio or a fitness yoga studio than an authentic yoga studio. If you have a CorePower Yoga in your area, you can get a week free to check it out. Then I had a friend recommend Yoga Works so I thought I’d try it. I like my yoga classes to be challenging, but I don’t need to be doing squats and a zillion crunches in yoga. Nahhh. I also like it warm with good music but not hot to where I feel like I bathed in sweat. You can get a free week so I tried out a lot of classes at YogaWorks for that week and was hooked. The instructors are GOOD and the sequencing is always different and so creative. And I like how there are classes at so many times during the day and a variety of classes. You can do upbeat hip hop yoga or slow flow or straight up vinyasa and a variety of other classes. And the classes are challenging and fun. I was really surprised at how reasonable a monthly membership is that you can cancel anytime…it’s not cheap persay, but for unlimited yoga in the heart of Boston I thought it was fair. For movement in this season of life, I’m loving going to yoga 4-5 times a week and sprinkling in some walks throughout the week. We go here weekly, if not more often. This wine shop is so much more than a wine shop. 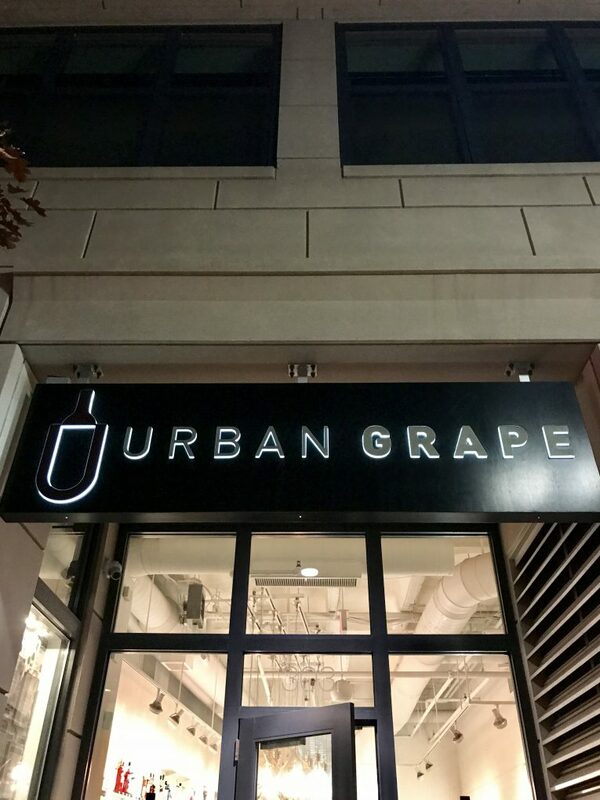 It’s like a social event and wine experience wrapped into one. You can read more about the store here, but the way they organize the wine and teach about wine makes it so easy to understand the difference between wines and learn what you like. Not only are the people there incredibly knowledgeable and nice, they remember you and what kind of wine you enjoy. Since we’re in there so often, they kind of feel like friends. They do tastings every weekend and hold events regularly. 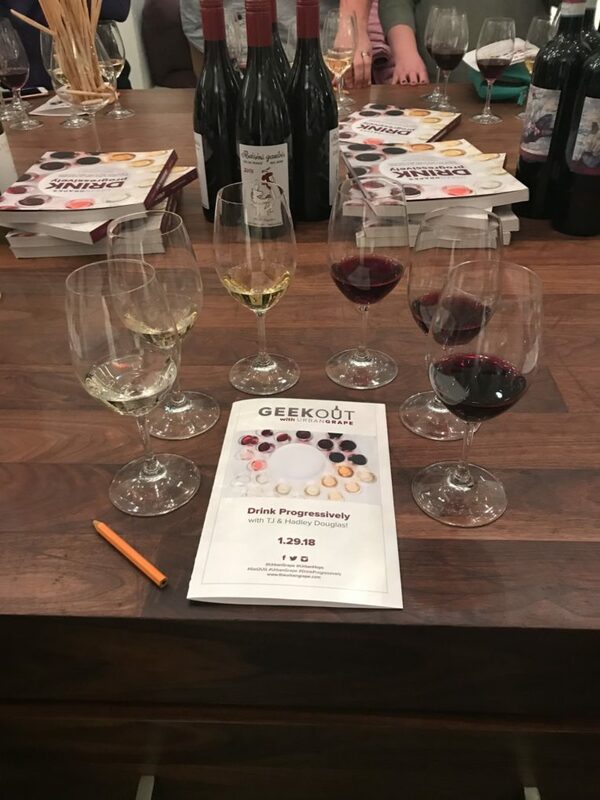 Nick and I went to a tasting event a couple months ago hosted by the owners that was like $15 and covered so much information, went for two hours and involved tasting a variety of wines…good times 🙂 If you’re into wine and find yourself in Boston, highly recommend this place! And it’s a total plus that it’s only about a 7 minute walk down the street from our apartment. Those are my favorites so far that I frequent often after a short 3 months here. If you live in Boston or have visited share your favorites in the comments! I need to visit Boston and try out all these places! I’m only a couple hours away! So glad you and Nick are settling in well! Well, Flour and Tatte are now on my list of places to try when I’m back in Boston/Cambridge this summer! I love Saltie Girl for a once-in-awhile treat lunch. Their seafood is amazing and the atmosphere is fun/classy all at once. Oh we will have to add that to our list! If you’re ever in Cambridge, check out Darwin’s! They have fantastic coffee and the best bagels/breakfast sandwiches. Maybe I’ll make a trip over there to study/work one day – is it a good working spot?? 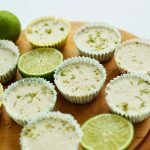 This are fantastic ideas – thank you Allison! I can’t WAIT for the whether to warm up and SoWa is only about a 15 min walk from us so we will definitely check it out. I’ve been to Coolidge Corner a couple times and love it – and I LOVE middle eastern food so we will be back! I think it’s important to note that you lived in various parts of Manhattan but never in any other NYC boroughs. The hustle and bustle of Manhattan is awesome for me to work in but I am so glad to go home to my quiet little tree-lined neighborhood in Queens at night. It is the polar opposite of everything in Manhattan and living in one while working in the other gives me the best of both worlds. Wish you’d tried some other boroughs while you lived here because there are so many small communities and neighborhoody type places. But so glad you’ve found your pace and place in Boston. It is a really great city. Love these faves! 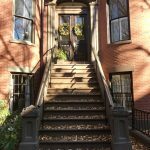 I actually wrote a post recapping my summer trip to Boston if you want to check that out. I’ve got some recommendations on there! get to Barcelona if you havent been there yet. amazing wine bar with great tapas and chefs do a great job of switching up their menus. there is one in the south end and one in Brookline. 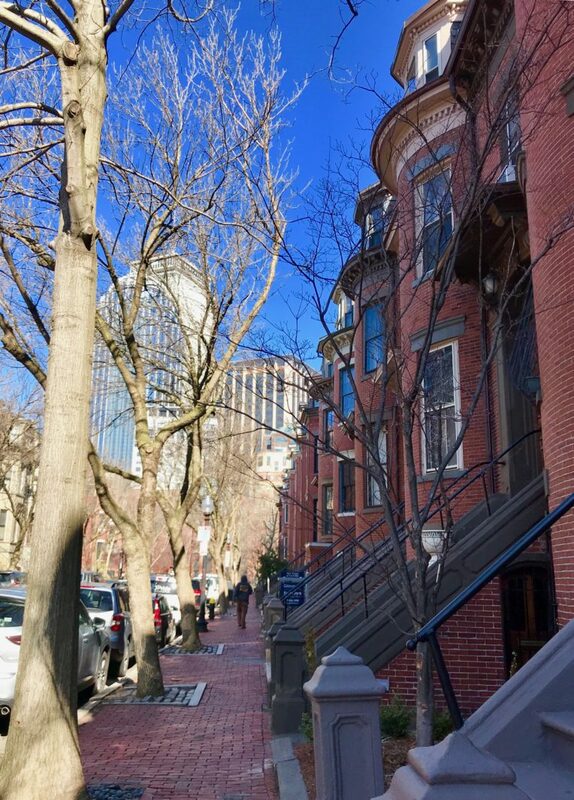 i loved my 8 years in Boston and am so happy to hear you are settling in! I have and LOVE IT. Their bread with olive oil is my happy place. And the dates and papas bravas….DREAM. Left that one off the list but should have included it! Wow. Flour’s sticky buns are calling my name now. 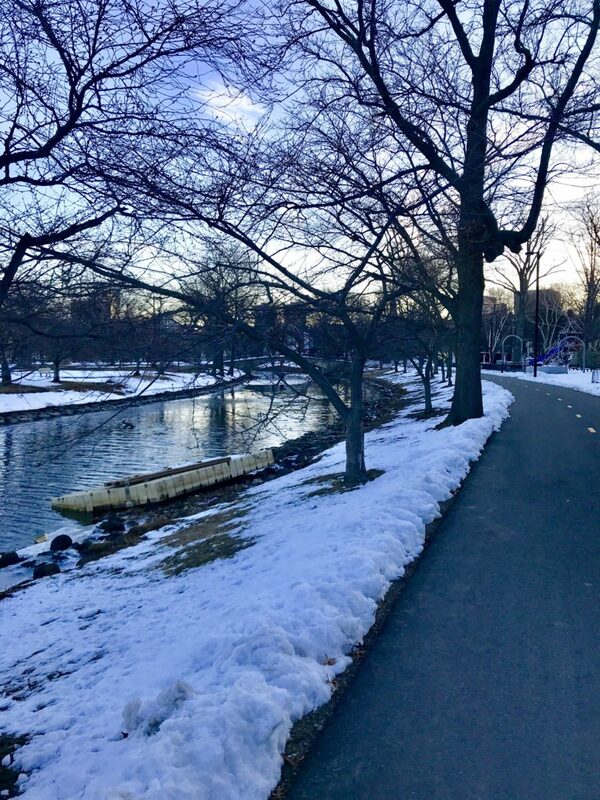 I love how you are embracing Boston so much; the Esplanade looks like the absolute perfect place to enjoy a quiet run or walk. And it’s always fun for me to hear how you embrace different seasons of movement in your life too Robyn. My husband and I are heading to Boston this weekend! Any other must-dos, sees, or eats that you recommend?